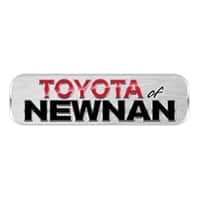 At Toyota of Newnan, we’re Georgia Toyota dealers that believe in presenting a high-quality and enjoyable car-purchasing and car-owning experience. That’s why you’ll see a wide selection of new Toyota cars in our showroom, helpful financing options from our financing department, specials on new- and pre-owned vehicles, parts, and services, and a service center committed to continuing along with you on your car-ownership journey. 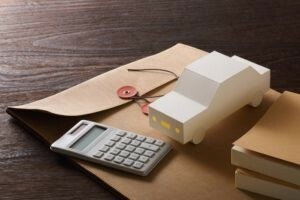 One vital part of keeping you and your car happy long after the initial purchase is consistent part maintenance and parts replacements when necessary. Essential parts to keep an eye on for replacement range from: car batteries, tires, headlights, brake pads, and oil filters. At our Toyota dealership near Fayetteville, GA, we know that equipping your car with fully-functional parts means that you’re increasing the safety and reliability you need and expect on a daily basis. When each item is performing as it should, this also helps prevent any surprise and costly parts repairs. You can count on the highly-qualified technicians at our Toyota service center serving LaGrange, GA, to help you stay prepared. Our service professionals will identify any parts replacement needs and install quality Toyota parts suited to your vehicle. We don’t want you to settle for just any parts for your Toyota car, which is why we stock quality, compatible factory-certified parts at our Toyota dealership in Newnan, GA. Of course you can also depend on the fact that our service team members are experts at installing Toyota-brand parts. Whether you need assistance with finding the best tires for your vehicle or require anything from new wiper blades to air filters, you’re in good hands. When you’re ready to take the next step with new parts purchases at our Newnan, GA, Toyota dealership, make sure to take a glance at our parts-related specials and convenient online parts request form. We welcome you to send any questions about pricing and availability our way as well. Fill out our contact form or call us at (770) 502-1333.We also always welcome your questions in person at 2 Herring Rd. Please come see your local Atlanta-area Toyota dealers soon for all your new Toyota parts needs.